Mother's Day is on Sunday and I have compiled some of my favorite items that will make great Mother’s Day gifts. There are so many gift ideas for moms, new moms and expecting moms and don’t forget that most ladies will love to receive flowers in addition to gifts. 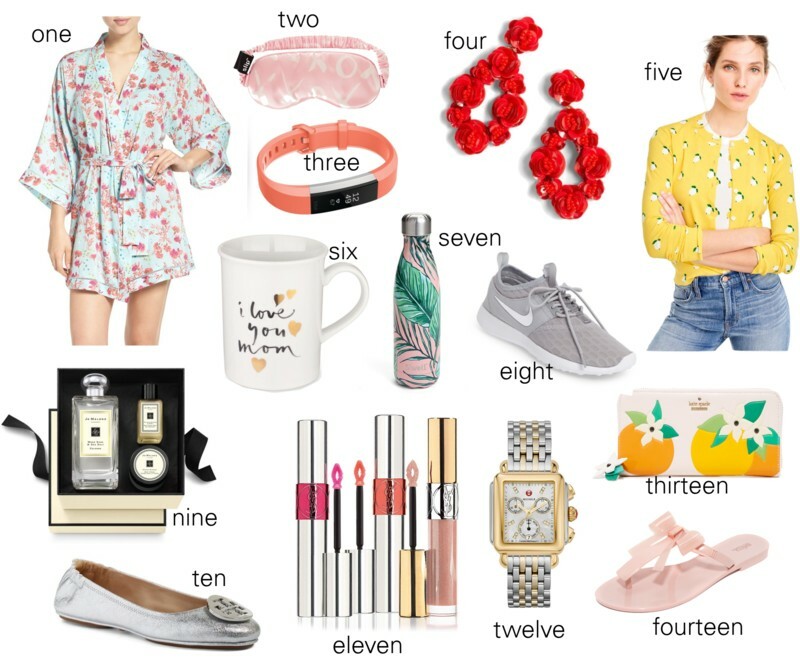 Talking about gifts, Nordstrom has great mother's day gift selections in varying price ranges. Perfumes are always lovely and I am a big fan of Narciso Rodriguez, Jo Malone, and Chloe perfumes. Watches also make great gifts and I am currently eyeing this Michele watch -- a splurge, but it is timeless! Alex and Ani has lots of amazing sentimental jewelries from bangles to necklace charms for all mothers. This is a great time to indulge her with that diaper bag or chic stroller that she has been eyeing or pinning on Pinterest. In case you are not sure what exactly to get, the Orbitz stroller, Bugaboo, Stokke Xplory or Mima Xari stroller will be a great splurge.